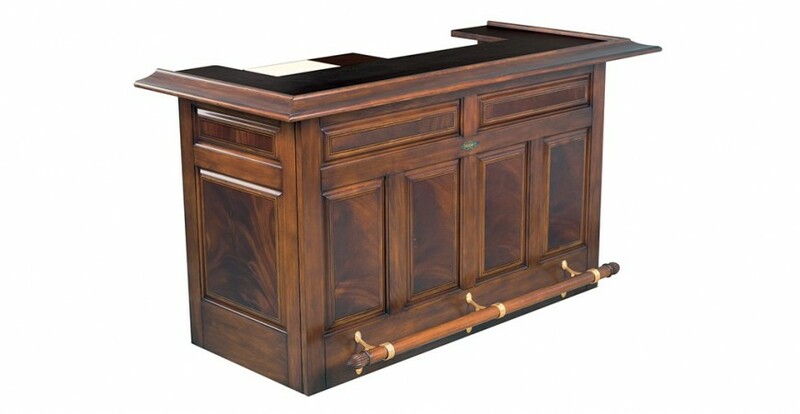 The Brunswick Centennial Bar features beautiful hand-inlays emblematic of turn-of-the-century design. 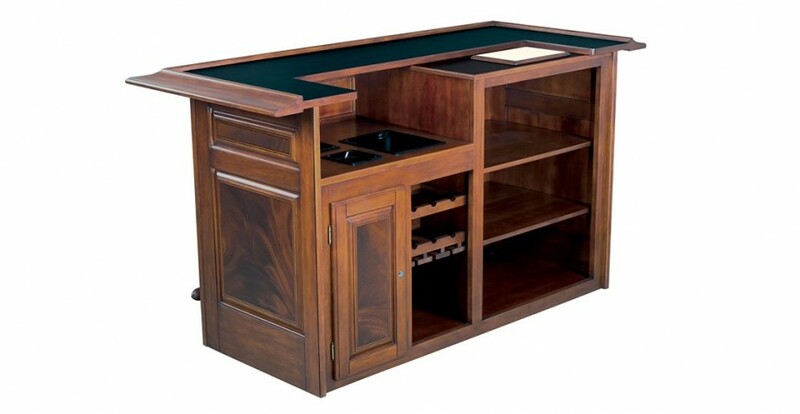 Each classic cabinet is paired with its own distinctive inlaid wood veneer and inlaid ebony striping. 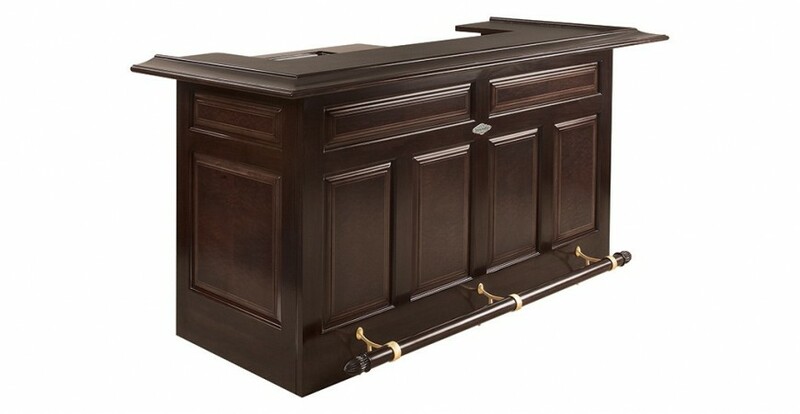 Each bar features refrigerator cavity with removable shelving, two wine chillers, lockable cabinet with adjustable shelf, space for six bottles of wine, ceramic cutting board, glassware rack, dry sink, and 77″ laminate bar top for carefree maintenance and durability. 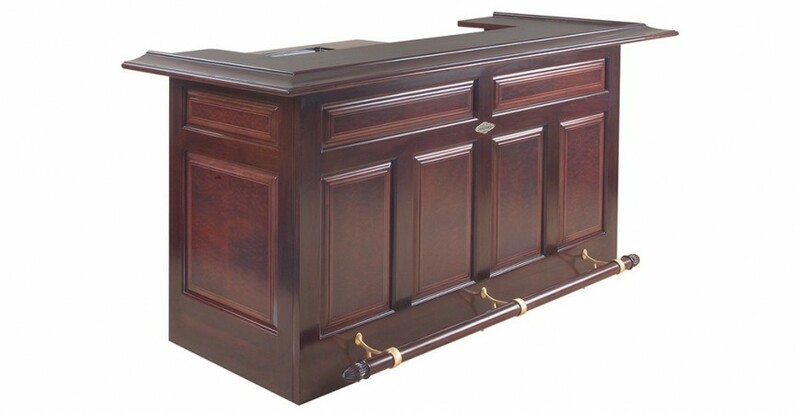 Available in chestnut, espresso & traditional cherry finishes with brushed brass or brushed nickel footrail hardware.